Nus Raja Ampat Bungalows beach . 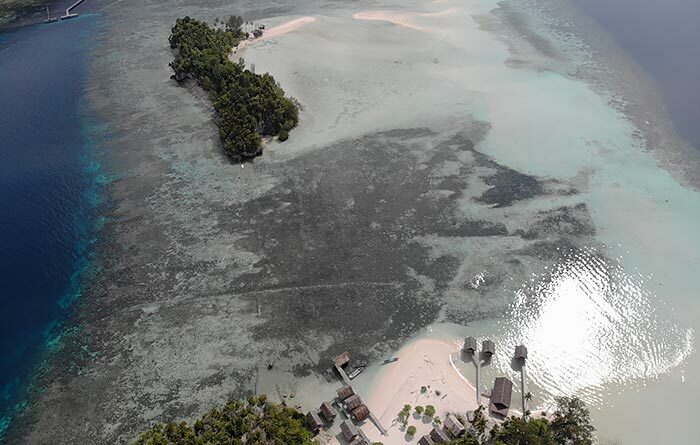 Nus Raja Ampat Bungalows at left, Mangkur Kodon Homestay at right. 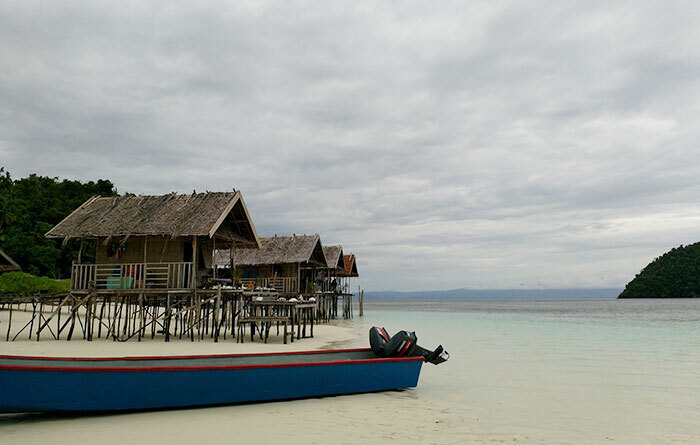 Nus Raja Ampat Bungalows were known as Kri Raja Ampat Bungalows until August 2018. 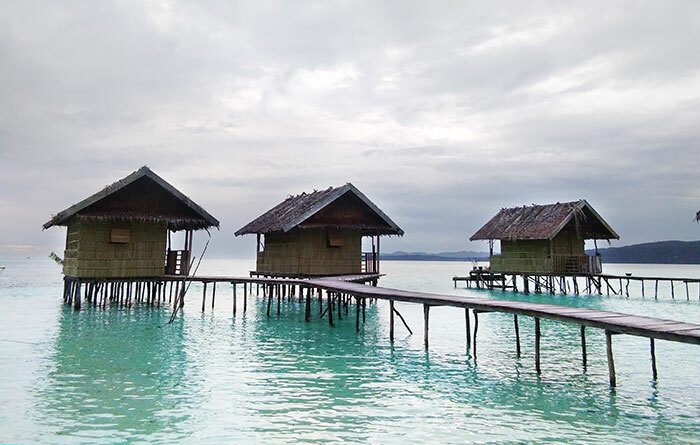 Nus Raja Ampat Bungalows lie at the western end of Pulau Kri, between the neighbouring Mangkur Kodon and Yenbuba homestays. Three private, over-water bungalows are available. We haven’t visited Nus Raja Ampat Bungalows yet, and were not provided much detail about the bungalows, but have been told they are similar to the standard, with verandahs and a bedroom furnished with real beds and equipped with sheets, pillows and mosquito nets. Meals are served in an over-water dining room located between the jetties that provide access to the bungalows. As usual, drinking water, tea and coffee making supplies are always freely available to guests there. The land based bathroom facilities are shared by all guests. 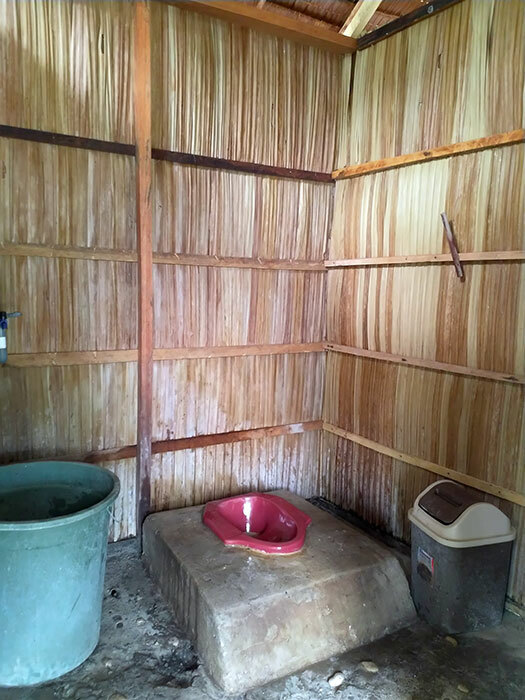 The concrete-floored bathroom building has 3 bucket bathing style bathrooms. 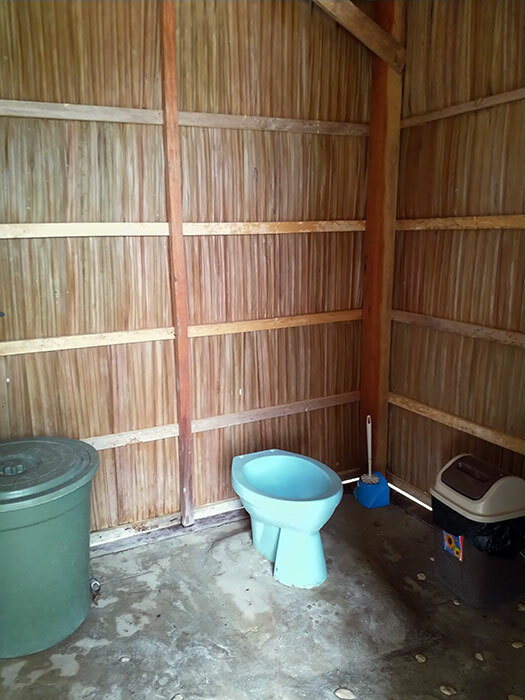 1 bathroom also contains a western style toilet, and a second has a squat toilet. Electricity is provided by generator and is available from sunset to around midnight. A strong phone signal is received from the nearby tower on Mansuar. A (slow) 4G data connection is usually available. 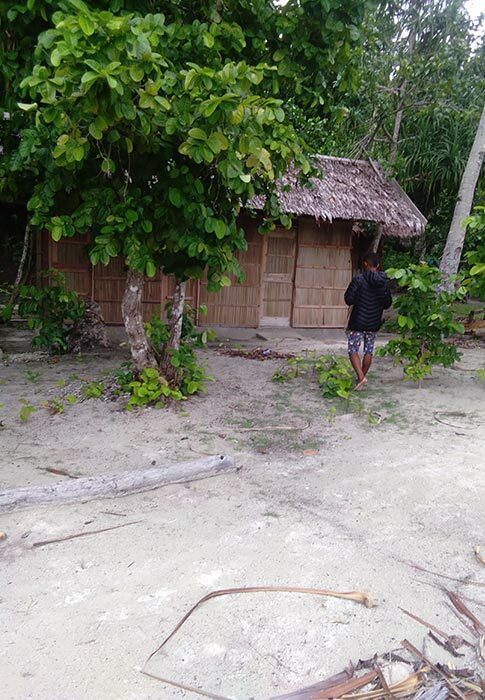 Yenbuba village can be reached on foot at low tide if you need basic supplies. It’s about a 15 minute walk across the sandbanks, but be careful to time your return journey ahead of the rising tide. It’s about a 3 minute boat ride to Yenbuba jetty. 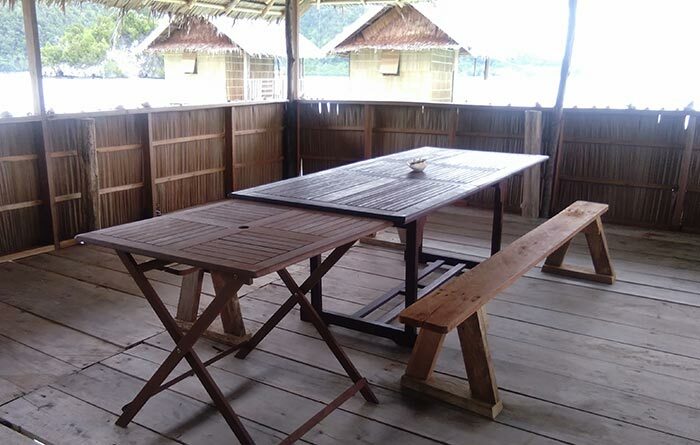 English is spoken at Nus Raja Ampat Bungalows. As at all Raja Ampat homestays, please be sure to take any inorganic waste you create away with you when you leave. There is no safe waste disposal or recycling available for plastic and other inorganic trash in Raja Ampat. If you leave it in bins at your homestay, you will only contribute to the rubbishing of paradise. Transport between Nus Raja Ampat Bungalows and Waisai costs IDR 800,000 each way. The trip is by speedboat capable of carrying 6 passengers and cost is shared by passengers. Excellent snorkelling is available from the beach at Nus Raja Ampat Bungalows and diving can be arranged with nearby homestay dive centers. See our Kri Island guide for more information about Kri’s attractions. 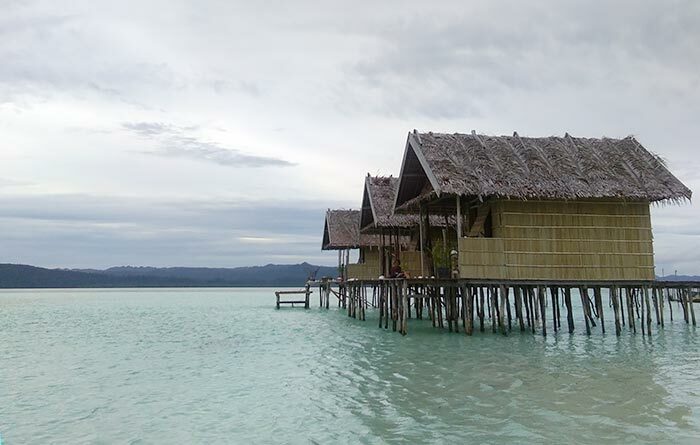 Nus Raja Ampat Bungalows can arrange snorkelling and sightseeing tours to anywhere you want to go. The table below provides a selection of popular choices. Tours are by speedboat and can accommodate up to 6 people. Prices are Indonesian Rupiah per trip (shared by passengers). We spent our last 5 of 35 days in RA at Nus homestay. We were the only guests at that time and the really friendly and welcoming family offered us much more delicious food than we could eat. Although this HS is a bit more expensive than most others, the location is worth it. The view, the different blues and greens of the water, the light sandbank connecting Kri and Mansuar at low tide are unbelievable. From your terrace you look directly into sunset and at high tide blacktips are regular guests. Perfect snorkeling at the northern drop off facing Gam, even better in the South towards Yenuba jetty / Mansuar. But mind the currents at changing tides! When we had to leave Josua made us a really fair price for the transport back to Waisai. All in all a perfect final of 5 wonderful weeks in paradise. Thank you Josua and all the best for the future to you and your whole family! We stayed at Nus Raja Ampat for 10 days…January 25-February 4 2019. The overwater bungalows were a real treat. Each morning we drank coffee and watched the fish and reef sharks swim under our deck. Each night we drank a nightcap and watched the sun go down. The food was good and the snorkeling was great. Everyday we snorkled south until the reef drop off and then followed the drop off either west to Yenaduak jetty or east to the Warahnus Homestay jetty. Best time to go was an hour before and after high tide…( google the sorong tide table and add about 30 minutes.) The water is clear and the current slow at this time. The coral is in great shape along the drop off and there are many fish of all sizes. Also a resident dungong, turtles and black tip reef sharks. We went with Josua to Sawondirak village for our best snorkle experience in the area. Highly recomended! We did a snorkle trip to Cape Kri also, however the conditions were not as clear. Most of the guests we met were diving with the dive shops on either side of Nus. Everyone was happy with the local dive spots. We loved our time at Nus Bungalows. You cannot beat waking up to those picture perfect views. 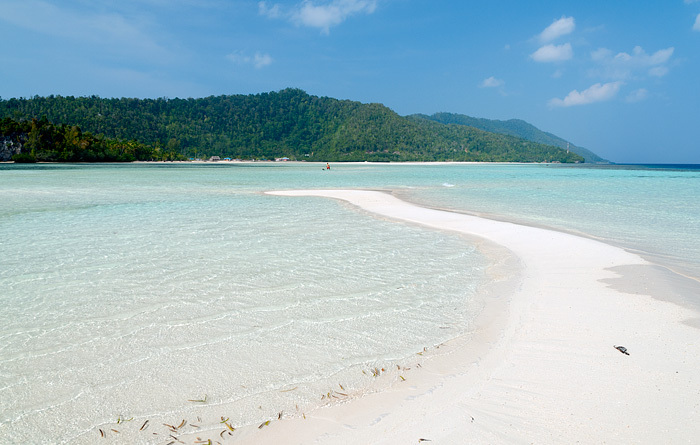 The clearest blue waters you will find anywhere and a world class home reef. If you’re lucky enough you will snorkel with the resident dugong along with plenty of turtles and reef sharks. We enjoyed the food and the lovely family who ran the homestay. Accommodation and bathrooms are basic but as good as you will find at any homestay in RA. Thanks Josua for a week we will never forget. I apreciate your best review to Nus raja ampat bungalows. I will always improve good services at Nus. 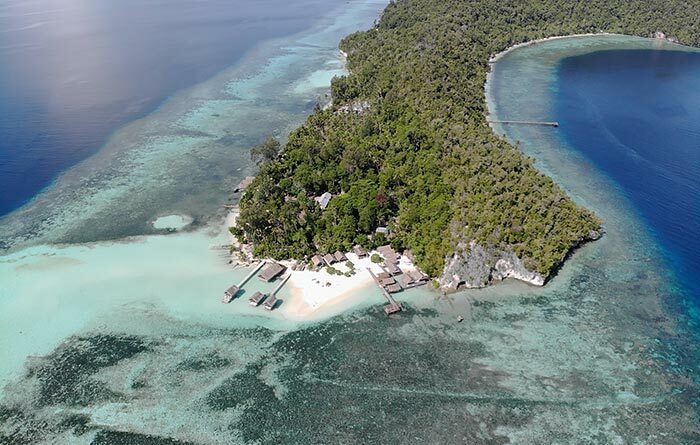 We’ve made a booking at Nus Raja Ampat for a 30 days stay. We’ve tried to contact them before arrival in Waisai but didn’t get any reply. There was no boat to pick us up, some guy told us, the engine of their boat has a problem, so we’ll have to take another one. After waiting quite a while, we arrived at Nus around sunset. Another two couples have been joining us, as they’ve also made bookings at Nus. When approaching the place, it was obvious, that all the huts were already occupied. So the fact is, that they’ve accepted 3 bookings with having not a single hut available. They were not able to find an explanation for that and all I wanted was at least an excuse. They weren’t even willing to say sorry. So there’s only one conclusion: avoid this place, those guys don’t seem to be normal. More than that, this location gets crammed with buildings anyway. Another paradise got lost. Every guest who booked at Nus,the room was ready and It is impossible for us to puting others. You are wrong ! It was not a couple who booked at Nus. When you arrived at Nus you did not come to my homestay,you went directly to the next homestay,couse you have been there before. after you spent one nightat the next door, you came and said you are our booking guest,we said you could move here there is room for you,but you said”No”you refused it. You come to visite raja ampat,not to break our business and making trouble. On September 2, Nus confirmed Stefan’s booking ID 18087 for two people for an over-water private bungalow and a Waisai pickup. If Nus failed to pick up the guest from Waisai and have their room available as confirmed, then Nus is at fault, not the guest. Responding to a complaint by attacking a guest makes Nus look worse, not better. It is very unprofessional. I was in Yenbuba Homestay January and this homestay wasn’t open for guest yet. I am in love at first sight but I heard the room is a bit small for 3 people as I travel with my 4yrs old. We coming back next year in February anyone can let me know about the room or mattress size? also at the noon time does the sun shining bright at the veranda ? The rooms at Nus are the same size as at Yenbuba and are equipped with double mattresses. An extra mattress could probably be provided. Being so close to the equator, the sun is directly overhead at noon, so the verandahs should be shady at that time of day. I can confirm the room in yenbuba is slightly bigger compared to Nus. You can add additional single bed to compare them easily. We stayd in one of the overwater bungalows of Nus homestay and enjoyd the fantastic sunsets, the beautiful reefs arround the island, snorkeling ourself and diving with the soul dive center just some steps behind the house. Absolut great! Good food, a good bed, clean, good pick up at the previous homestay and friendly help and support by Nus and Paulus combined with a stunning surrounding, lots of reasons to come back anytime. Hi,KATHLEEN…! Thankyou very much for your good comment to Nus raja ampat bungalows. I respect it so much. After my second visit to the island, I can say Nus Raja Ampat is placed in one of the best places of the island. Uncrowded, well located, sunset oriented, leeward and sheltered from the north winds, calm water, sorrunded by amazing reefs plenty of life. There, you only need there your swimsuit, a mask, fins and sun protection :). 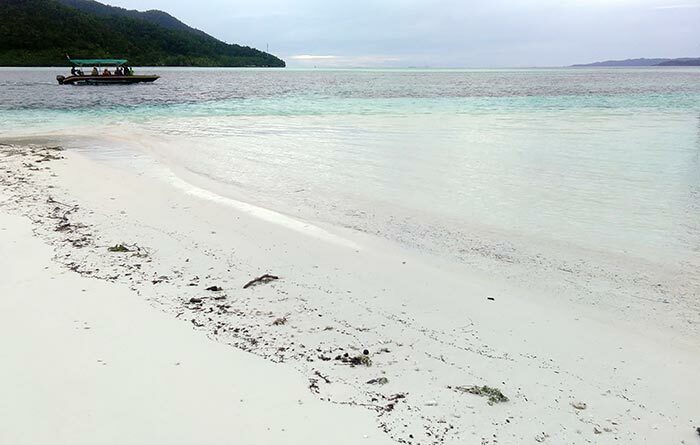 I saw as many or more species of fish as diving… A long white sand beach is discovered every day by the low tide in front of the bungallows. A beach that allows you to take a walk to explore Yenbuba village. Highly recommended! Thankyou wery much for all these reviews from you,Guys . I respect your comments about the service in my homestay. I also would like to thank for your advicing from all of you. With my pleasure,I’ll receive your coming back to my homestay. I’ll always do the best for you and for the other guest or tourist who interset in my homestay. This place is amazing!! Highly recommanded!! The photo’s don’t show how great it is. Joshua is an amazing host and a great cook:). The view from the huts are amazing, turqoise waters and you can walk to the next island at low tide. Rooms are very clean!! 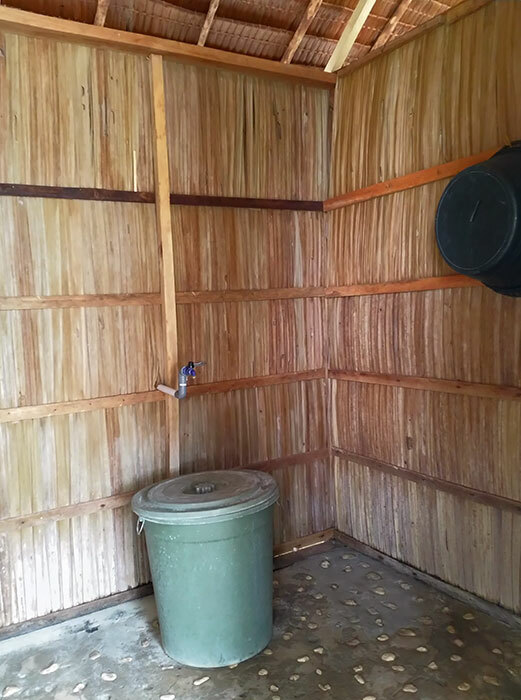 Only minus might be the mani shower, however they provide large bins, which makes it even better than maybe the little bit of water that comes from a ‘normal’ Raja Ampat shower. What an amazing spot. This accomodation is without a doubt, the best on kri, and probably of many other islands. Amazing view (sunset side), lovely (English speaking) family and good food! Accomodation offers trips to pianemo, wayag and / or other islands. Also the possibility to rent snorkeling stuff. 4G signal all day. We recommend these bungalows to everyone. 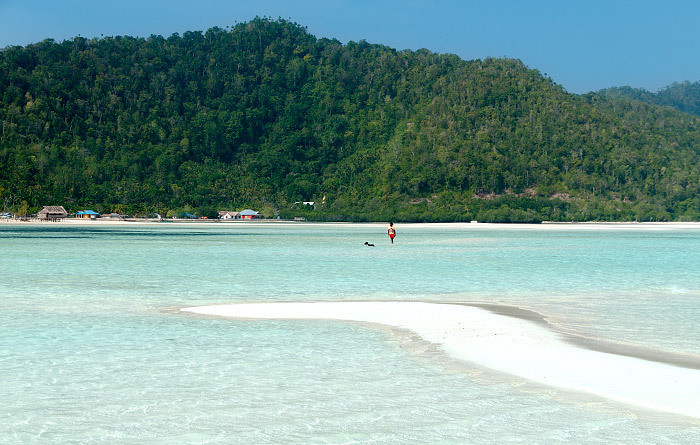 Be amazed by the beauty of raja ampat! After the first 24 hours I took myself in thinking how lucky one can be that this place were available on short notice for me and my family. We are at time of writing still staying and enjoying all that the Homestay has to offer. Just want to post this now as I can see no other feedback provided yet. Hi Lars, What else? Some more feedback?